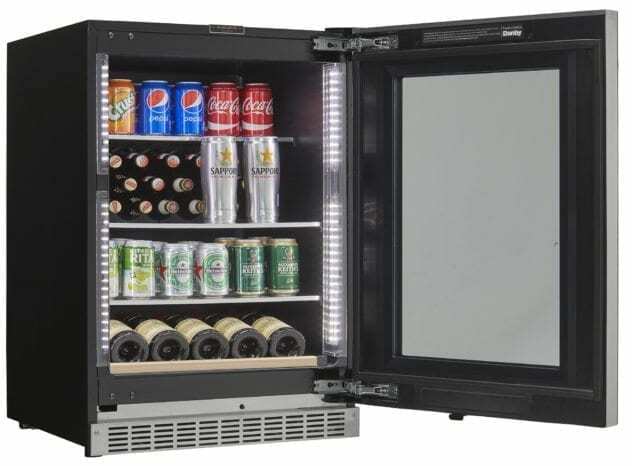 Store more than just beer and soda in the Silhouette Reserve All Fridge. 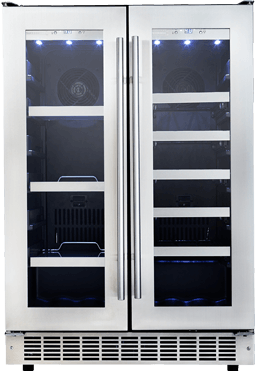 With temperature range from 33°F to 44°F, you can safely store cheese and meat platters, seafood, and other assorted perishables. 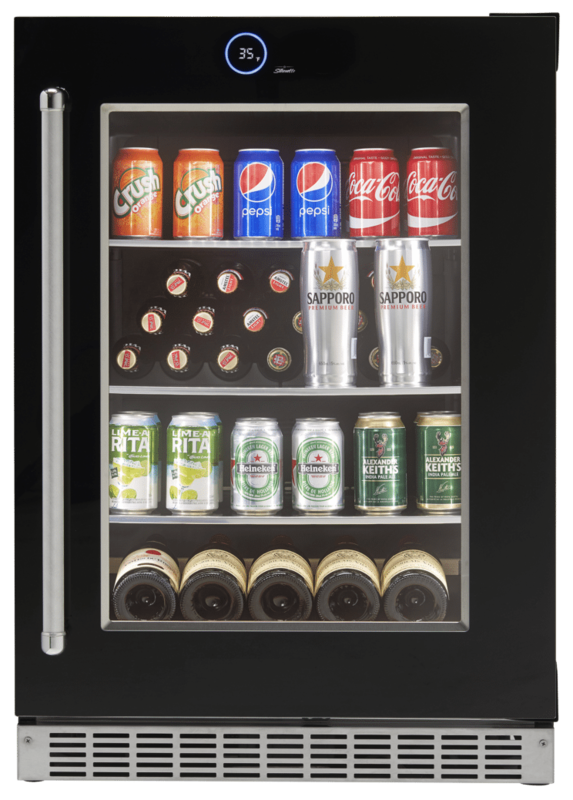 Whether you find yourself entertaining friends or needing more convenient refrigeration for your family, the Silhouette Reserve’s under-counter design delivers style and practicality like no other beverage centre on the market. Tap the glass and the exterior Capacitive Touch Interface comes alive! 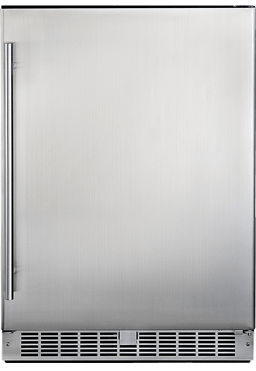 No opening and closing your wine cooler door to adjust settings. 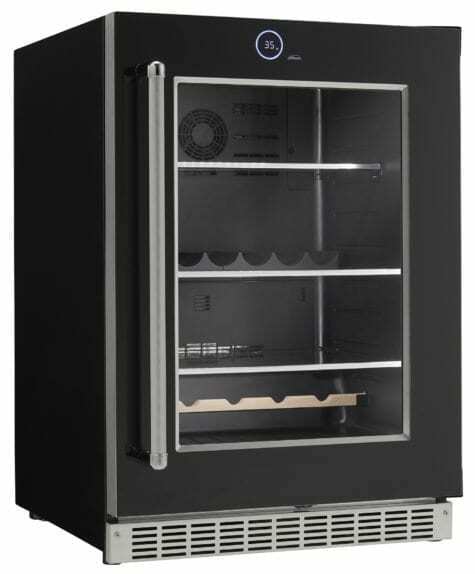 This All-Refrigerator will keep your beer and soda chilled to perfection with temperature ranges from 33°F to 44°F. 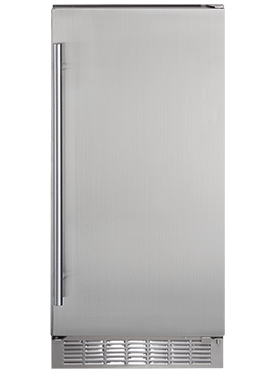 The all-refrigerator offers 5 cubic feet of storage with space to store up to 105 beverage cans (355 ml) and 5 bottles of wine (750 ml). The STAK Organizer, patent-pending design will make you wonder how you ever stored cans and bottles without it. 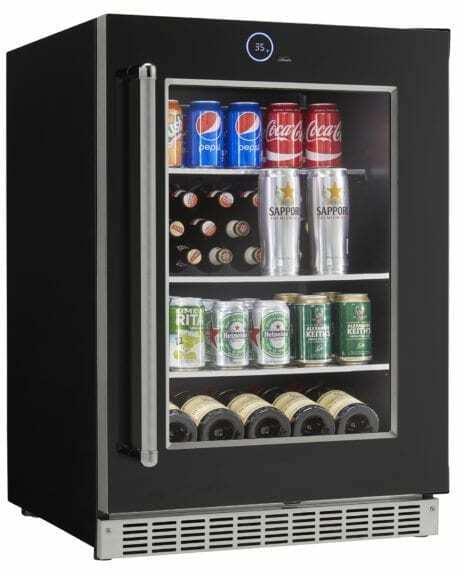 The curved platform cradles up to 12 cans or bottles and ensures bottles won’t roll or slide – making it easy to stack multiples on top of each other. 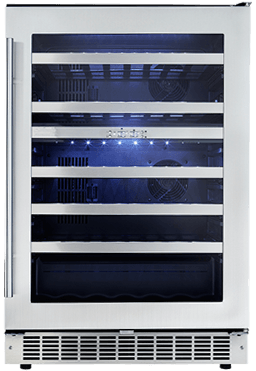 Two full-depth Tempered Glass Shelves and one half depth shelf allows for the storage of large cartons, bottles, or open bottles of wine. Bold Parametric Lighting fully illuminates the interior to display your contents. Choose between three different settings: Bank, Theater, and Energy Saver mode.